As shown in Part 1, it’s impossible for the world to cut CO2 emissions enough to prevent a climate disaster, but could the United States cut its CO2 emissions 80% by 2050? US ratified UNFCCC treaty in 1992. 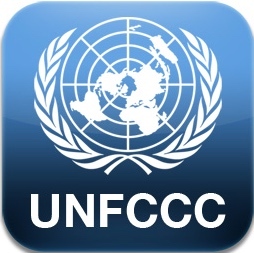 UNFCCC held Conference of the Parties (COP) 21 and is leading the efforts to cut CO2 emissions. As seen in Part 1, electricity generation and gasoline usage produced 59%, or nearly two-thirds of CO2 emissions in the United States in 2004. These CO2 emissions must be cut 80% from 1990 levels if there is to be any possibility of cutting total U.S. CO2 emissions 80% by 2050, as required by Obama and the EPA. Cutting CO2 emissions 80% from 1990 levels requires that total CO2 emissions from electricity generation in 2050 not exceed 364 MMT. CCS (carbon capture and sequestration) is not a viable option for continuing the use of fossil fuels. See, The Why and How of Carbon Capture and Sequestration. Without CCS, all coal-fired power plants and one-third of all existing natural gas power plants must be shut down if CO2 emissions are to be kept below 364 MMT. There are two fundamental scientific reasons why wind and solar can’t replace the coal-fired and natural gas power plants that must be closed. Wind and solar don’t generate electricity when the wind doesn’t blow or the sun doesn’t shine. Solar doesn’t generate electricity during nighttime hours. Currently, there are 1,068,422 MW of installed capacity of all types. This amount of capacity must be available at all times to provide electricity during periods of peak load. But 441,704 MW of this capacity, or 41%, is eliminated when all coal-fired and 1/3 of Natural Gas power plants are shut down, so there won’t be sufficient capacity to respond to peak loads. Therefore, if wind and solar are used to replace the lost capacity, the remaining installed capacity would be insufficient to meet peak demand when the wind stopped blowing or the sun didn’t shine. This alone means that wind and solar can’t replace the lost baseload power that’s needed to be available at all times, 24/7, for when the wind doesn’t blow and the sun doesn’t shine. The only theoretical possibility for using wind and solar to replace coal-fired and natural gas power plants that have been closed, would be to install storage essentially equal to the lost capacity. Unfortunately, there is no type of storage currently available that can store this amount of electricity across all of the United States. See, Storage is Essential for Wind and Solar. In addition, there are economic reasons why wind and solar can’t be economically used to replace coal-fired and natural gas power plants. The cost for using PV solar at $3,000 per KW would be around $2.1 trillion while concentrating solar, at around $5,000 per KW, would cost over $3 trillion. The cost of constructing new transmission lines to transport the power from remote areas to where it can be used must be added to the investment in new wind and solar capacity. This investment in new transmission lines could easily exceed $200 billion, based on the Joint Coordinated System Plan (JCSP’08). Replacing coal-fired and natural gas power plants with nuclear would allow a transition where CO2 emissions could be cut 80%. But, the public has been conditioned to believe nuclear power is dangerous, so there is little likelihood that very many new nuclear power plants will be built. In fact, it’s very probable there will be less nuclear power available in 2050 than there is today. Even if nuclear were acceptable, it would require building 400 new nuclear plants rated 1,000 MW each by 2050, which would be virtually impossible. Currently, there are about 100 nuclear power plants in the U.S. It is impossible to eliminate all coal-fired power plants and 1/3 of natural gas power plants by 2050, without destroying America’s standard of living by forcing Americans to accept huge reductions in the use of electricity, such as for air-conditioning, appliances, communications, WiFi, TV, etc., and without crippling American industry. 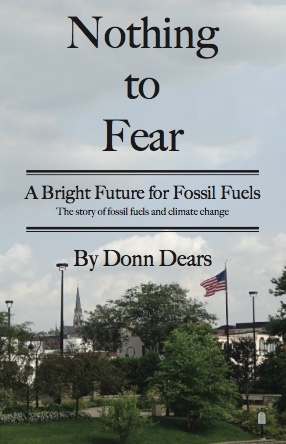 Part 3, in the next week or two*, will explore whether gasoline can be cut 80% by 2050. Some who advocate total replacement of fossil fuel energy with wind and solar say that linking all such renewables together in an extended grid would solve the problem of the wind not blowing. But they do not consider this problem. If the wind quits blowing in area A (as it often will), an adjacent area B must have extra, possibly doubled capacity beyond its own needs to supply area A. Likewise area A must have doubled capacity to supply area B when the wid quits blowing there. But the wind may stop blowing in both areas simultaneously. Thus areas A and B must be connected to areas C, D, E, etc., and areas A and B must greatly increase their potential capacity for wind power generation to provide energy to C, D, E, etc when the wind quits blowing. So, EACH area must have wind generation capacity far, far, beyond its own needs to assure that a wide-spread decrease in wind speed does not stop power generation somewhere. Not only must the installed wind capacity far exceed the real-time need when the wind is blowing everywhere, but the connection grid must be enormous and complex. Thanks great article. Shame the CAGW folks cannot do simple math. Hopefully Trump will turnaround this “train” before it crashes. It’s amazing they don’t just don’t look at the basic numbers. There’s no rocket science involved.